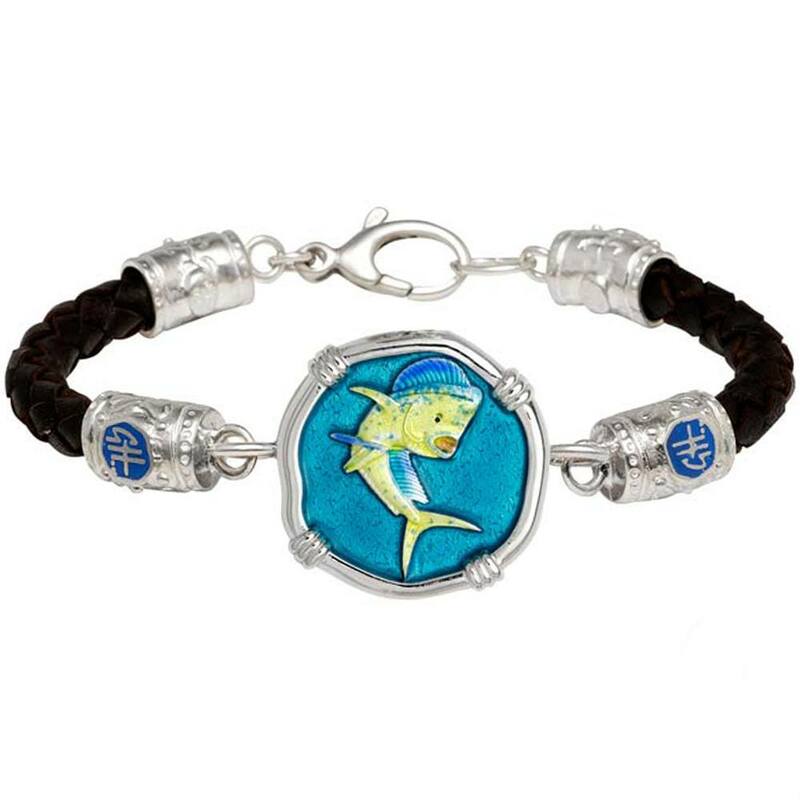 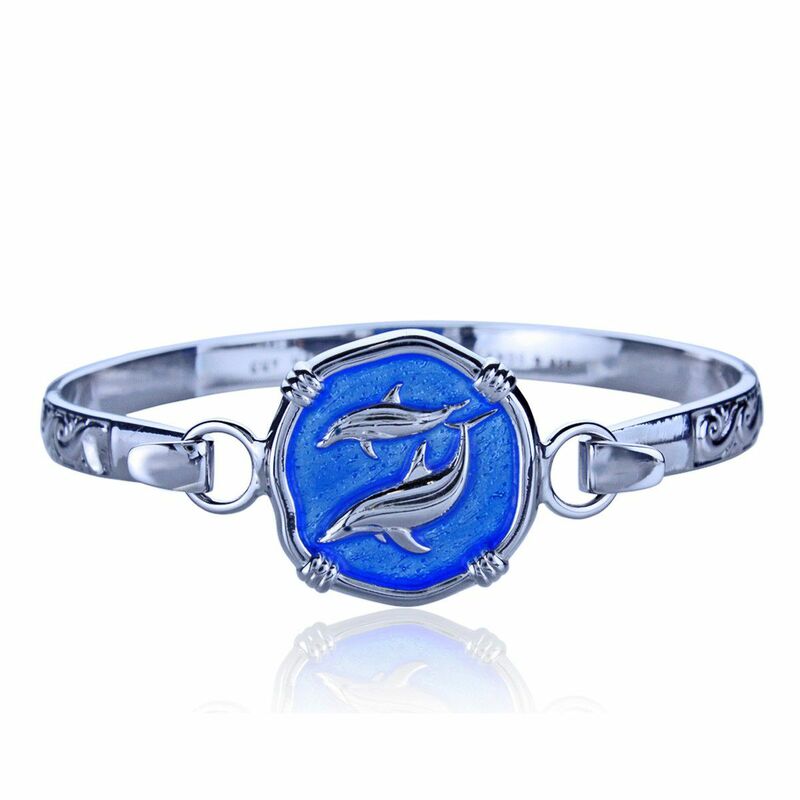 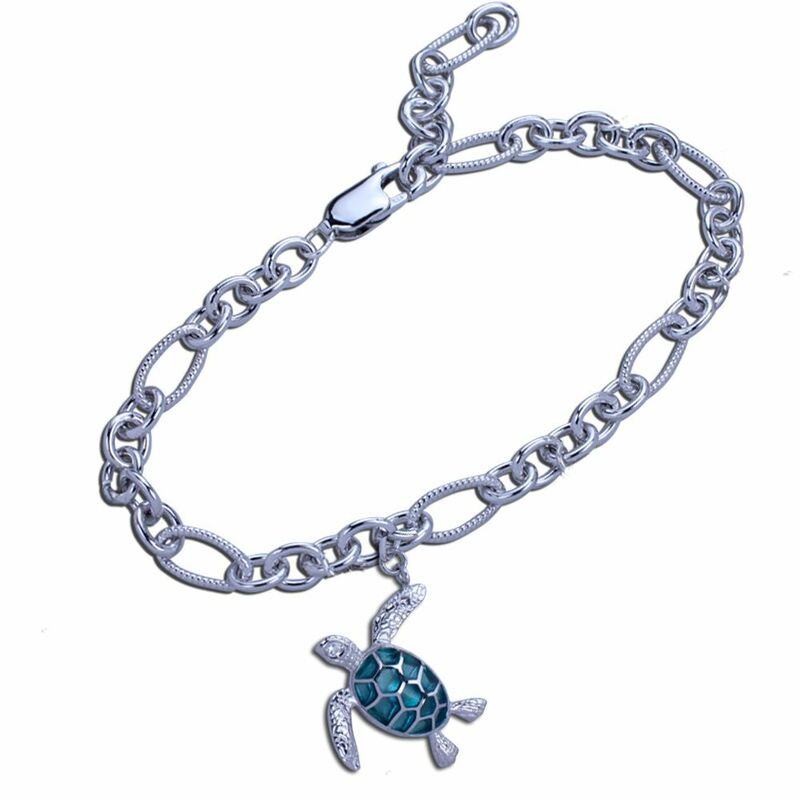 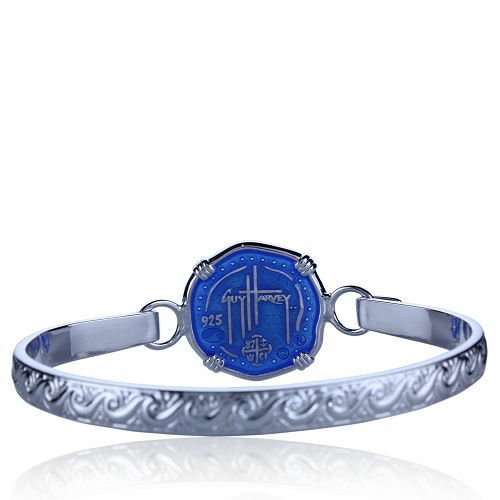 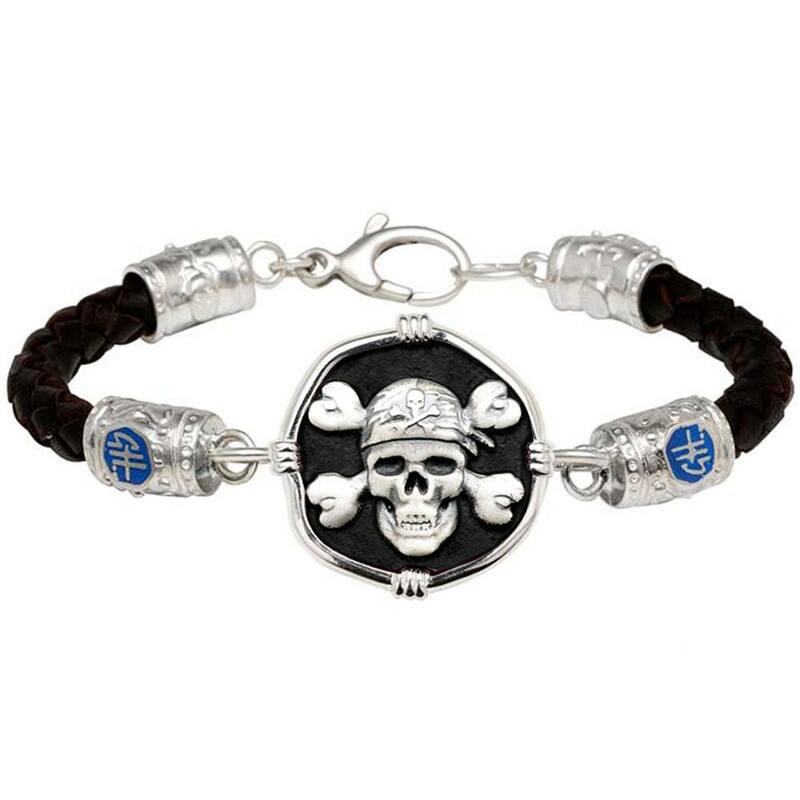 The Guy Harvey Hook Bracelet is crafted of sterling silver and hard fired enamel, the same process used by Faberge and Tiffany. 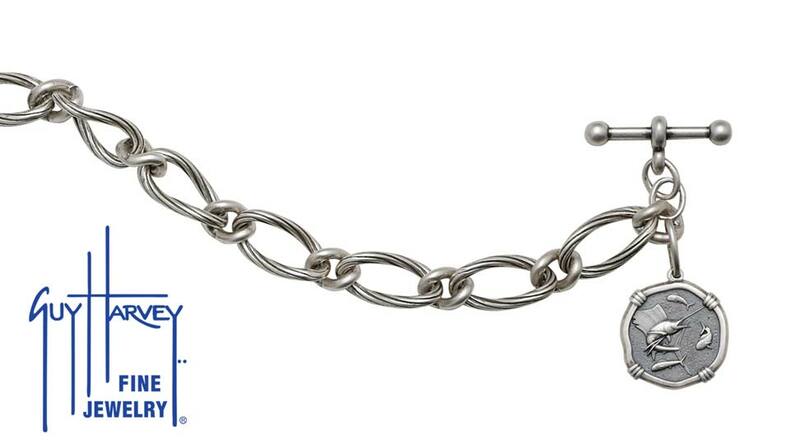 The clasp attachment is interchangeable. 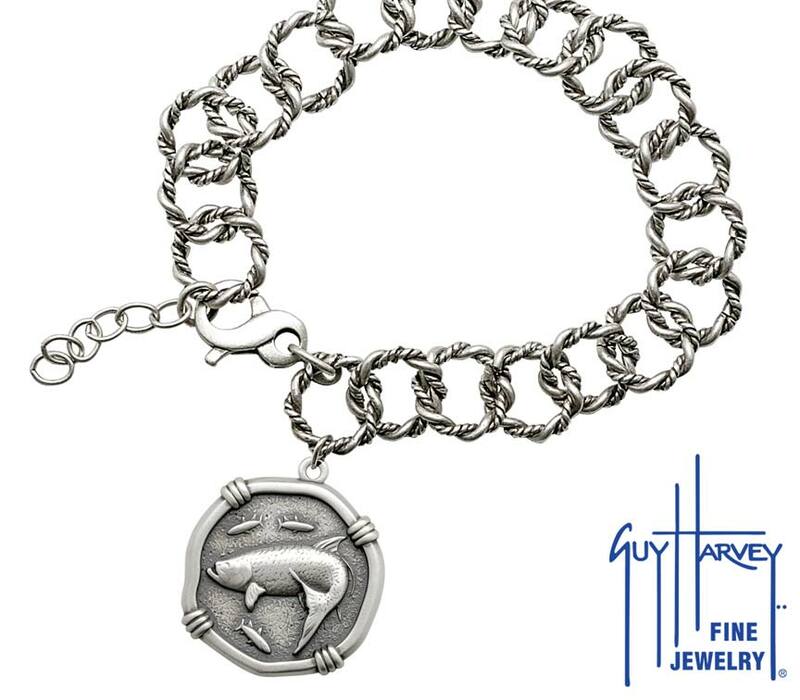 Mix and match by just changing the clasp. 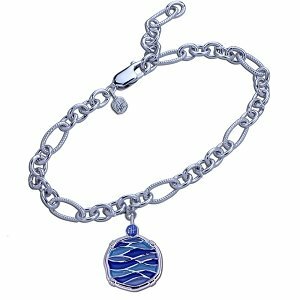 The backside of the clasp is enameled and finished as beautifully as the front. 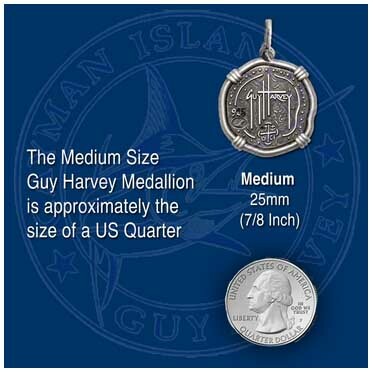 7 ½ inches with Clasp Attachment.